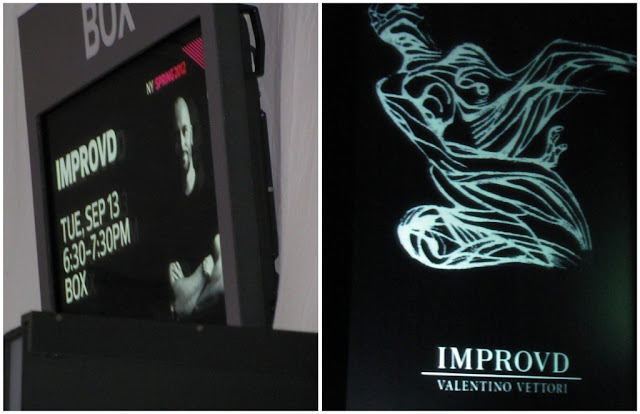 I was pretty stoked to get into the IMPROVD, Valentino Vettori show at the Box for obvious reasons. This being my first ever Fashion Week, I couldn't help but be excited at the chance to experience new fashion first hand.The presentation was at the Box, which meant that it was not a sit down show but rather you viewed the models on platforms in waves. You could view the designs from different angles and certainly very up close, which I appreciated immensely. As soon as the show started, I realized very quickly that I was literally a foot from about 3 separate models, so getting in the game, I started snapping pictures and bobbing and weaving to get to the other side to catch the other models. It was at this point that I was thankful that I wore my hot pink Keds. I couldn't help but be really impressed (first show or not) by the incredible textures that were sprinkled into otherwise flowy fabrics. 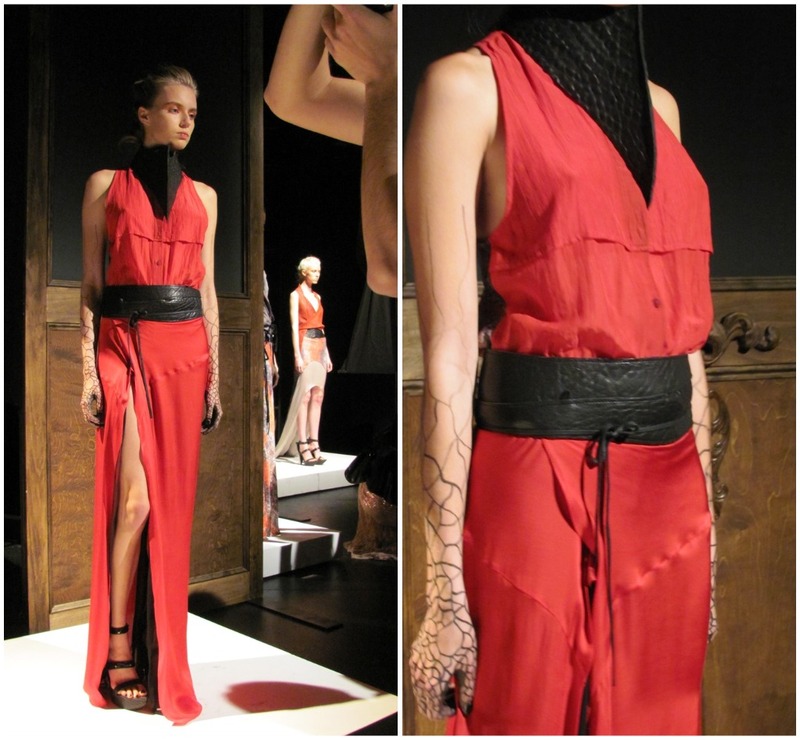 There were some killer harnesses, belts and harness belts. 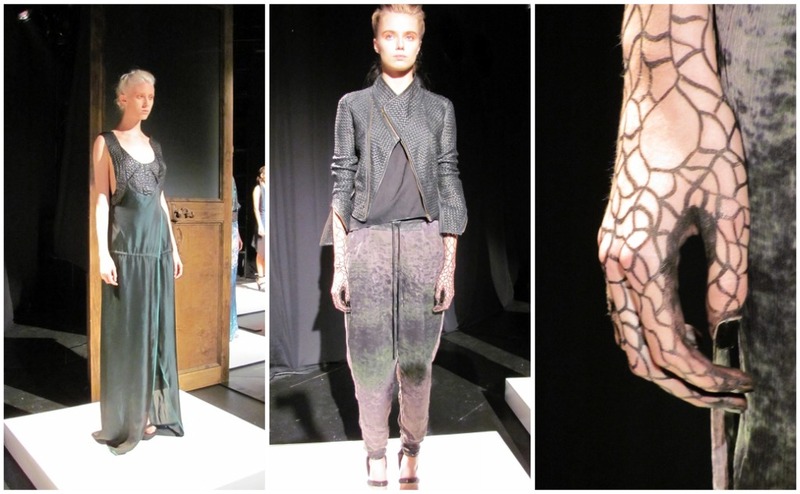 Woven leather, textured leather... it was all really interesting and edgy. Something else that I loved in the styling was the henna type hand stencils and the fierce pop of color in the model's hair. The messy look with ombre blues into turquoise was really cool. 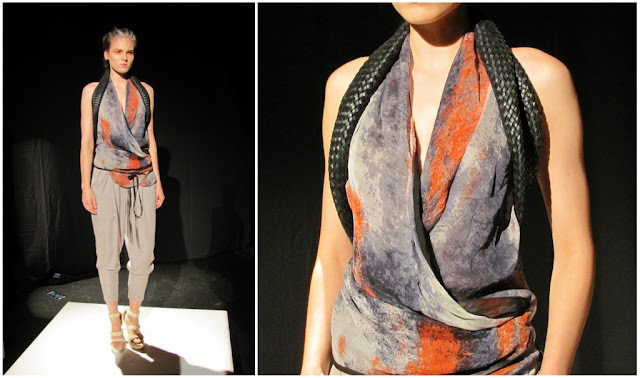 What were my favorite pieces of the whole collection? The woven leather harness for one, the beautiful texture on a forest green flowing dress and this absolutely to die for leather textured zipper type skirt... absolutely killer! What do you think? 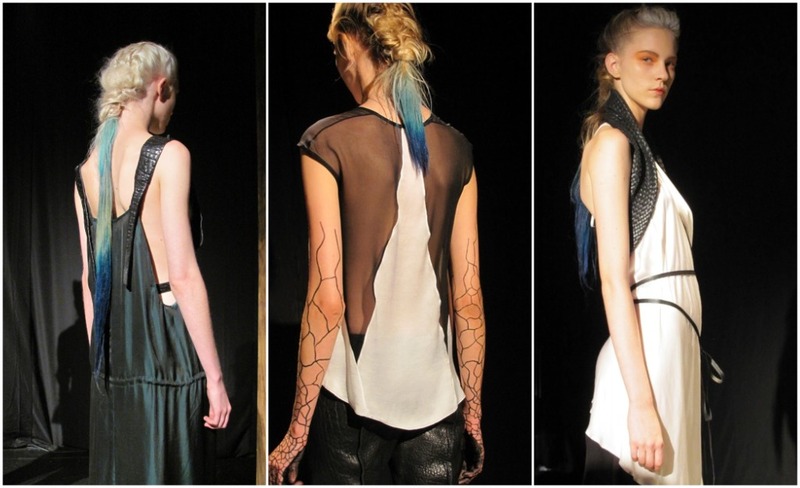 Was this collection up to your fashion par?